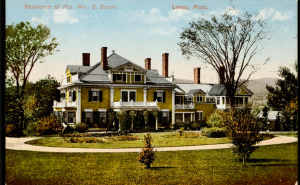 Known as Osceola, 25 Cliffwood was built for Mr. and Mrs. Edward Livingston in 1889 by Rotch and Tilden. 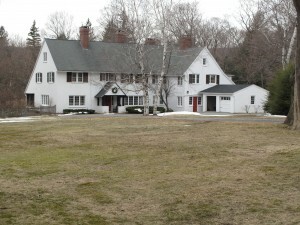 It has been used as a retreat for General Electric and an Inn. It is currently a private residence. 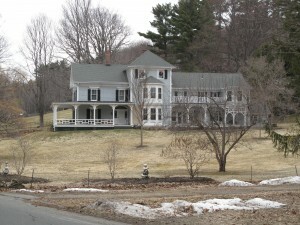 This house was built as a summer home by Mr. and Mrs. George Folsom in 1884. AT the time it would have been next to the (also later burned) Homestead on Cliffwood St. The half timbered house was designed by Charles Coolidge Haight. Houses of the Berkshires* contains wonderful stories about the life and times in this book laden old house. Mr. Folsom was the law partner to President Grover Cleveland. Miss Frances Folsom married the President in the first White House wedding. She was 22 years old and President Cleveland was 50 at the time. 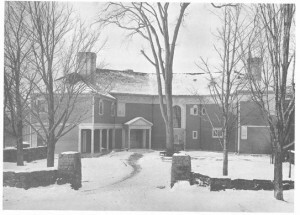 In 1925 the original house was destroyed by fire and it was rebuilt the following year. 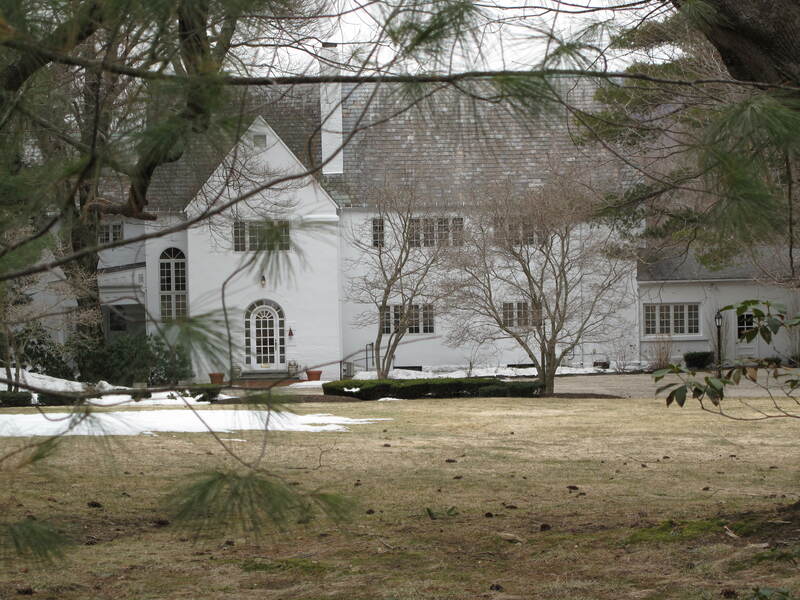 Built in the English cottage style, the new house was designed by Delano and Aldrich. 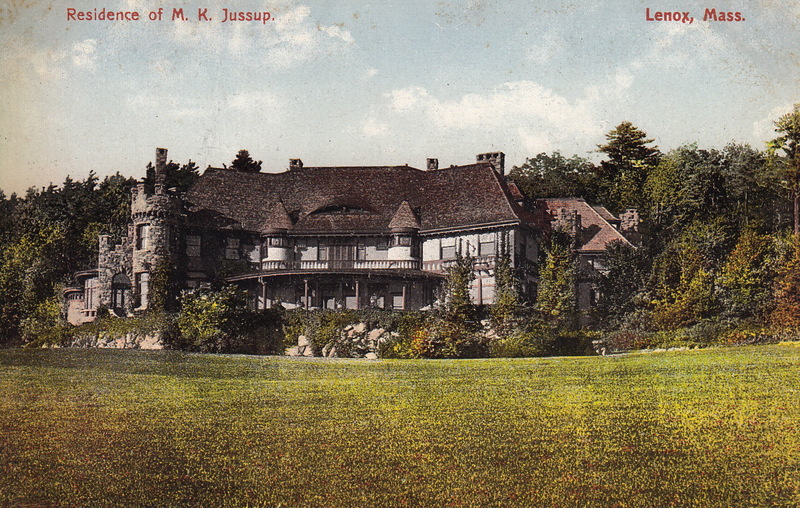 Completed in 1885, The Homestead was designed by Charles McKim with landscaping by Frederick Law Olmsted. 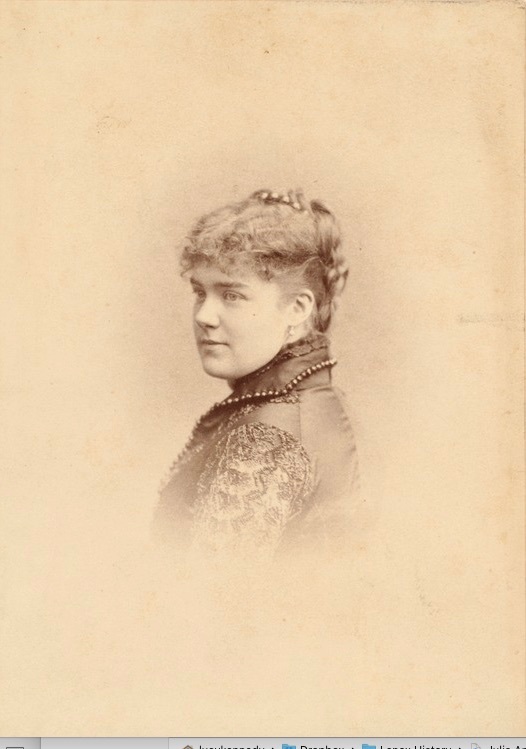 His client, Julia Amory Appleton (1859-1887) must have been pleased with his beautiful design as she married the recently divorced McKim the same day her sister married George von Lengerke Meyer. Tragically she died two years later and McKim sold the Homestead to Anson and Helen Stokes in 1889. They expanded the house (a lot) foreshadowing their future edifice – Shadow Brook. 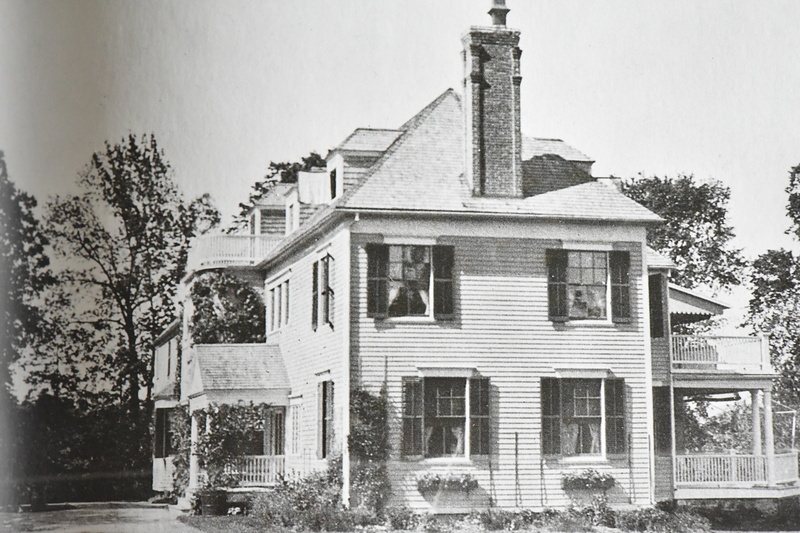 In 1905, when the house was rented to the Eric Dahlgren family, it burned to the ground. Fearing a takeover by “outsiders” George Folsom, Morris Jessup, John E. Parsons and Grenville Winthrop bought the site. 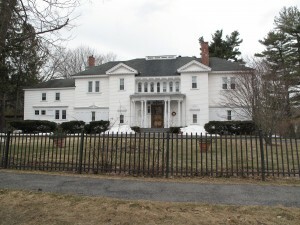 The Homestead was replaced in 1914 and 1915 by 57 and 61 Cliffwood Street, designed by Harding & Seaver. Although the numbers do not match the Harding and Seaver home shown here is described as being on one of the lots formerly occupied by The Homestead. This Greenwood Street property primarily fronts on Cliffwood. As an 1870’s farmhouse expanded over the years, it is more typical of earlier summer homes than the other more elaborate architectural cottages on Cliffwood. It is most often written up because it sheltered one of America’s most prestigious families — the Biddles of Philadelphia.. Their Quaker ancestors came to Philadelphia before American Revolution and had been active in science, law and banking ever since. Mrs. Jonathan Williams Biddle bought the property in 1886. 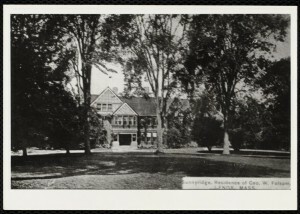 Her daughter, Miss Emily Biddle came there every summer until her death in 1931. She was a founding member of the Lenox Horticultural Society and active in the Tub Parade and other Lenox activities. The property is a private home. Belvoir Terrace was designed by Rotch & Tilden and built between 1888-1890 for Morris K. Jesup, with landscaping by Frederick Law Olmsted. Facing Cliffwood Street and with a “side” entrance on Greenwood Street, this highly fanciful property also had an entrance from Main Street, next to Church on the Hill. 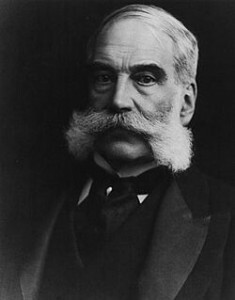 Morris K. Jessup (1830-1908) was a successful banker and a notable philanthropist. His philanthropic activities included backing Robert Peary’s Arctic expedition and being president of the Museum of Natural History. 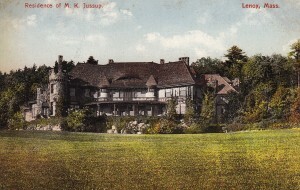 He was, along with several other super wealthy Lenox cottagers, in the Georgia Jekyll Island Club. Belvoir is currently an arts and music camp. It is easily visible from Cliffwood Street. Underledge, still standing as a handsome private residence, was built for Mr. and Mrs. Joseph W. Burden. Little has been found about the Burdens other than regular references in the social columns to her teas and his golfing prowess. 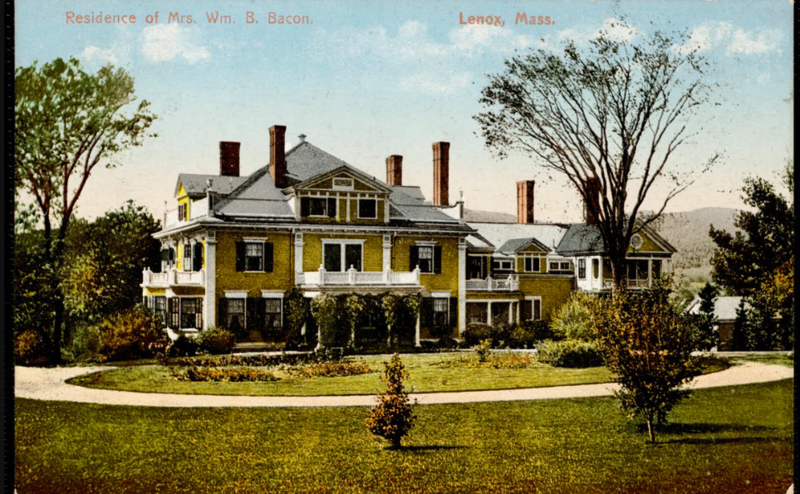 Once part of Windyside, this home was built for William and Elizabeth Stone Bacon. Up the street from Rocklawn Francis Parker Kinnicutt and Eleanora Kissel Kinicutt built Deepened in 1886. 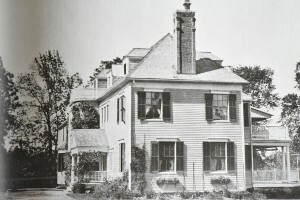 The final home on the tour, Deepdene, was constructed as a Colonial Revival summer cottage on Cliffwood Street in 1886. 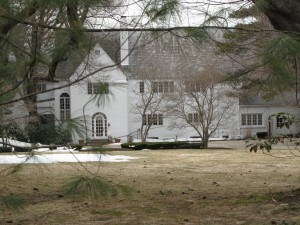 Deepdene was designed by Bruce Price, an important New York architect. The owners were the socially prominent Dr. Francis and Mrs. Eleanora Kinnicutt. 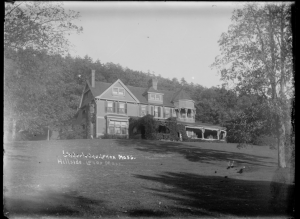 Edith Wharton was one of the doctor’s patients and encouraged her to move to the Berkshires. The entrance is directly into a soaring stairhall while many porches originally overlooked the expansive green of the Lenox Club golf course. The golf course has now been re-absorbed by the woods.